Details of the accounts and equipment kept by the Matienzo Caves Project. A permit is issued by the Cantabrian Government and the FCE. The permit is re-applied for every year. Caving outside the area (both new exploration and "tourist" trips) may result in a permit refusal, as happened in 1989 / 1990. In 2014, the permit area was altered. Llueva, Secadura and Riotuerto areas are "out" and extensions to the north and northwest are "in". The new permit area and the old are also shown on the Google Map and Google Earth, below. The 2019 permit area is the same as in 2014-2018? The Google Map, programmed by Paul "Footleg" Fretwell, displays site entrances superimposed on satellite photos. Descriptions for each site can be shown by clicking on the entrance marker. The computer must be connected to the Internet. Google Maps works best in Chrome or FireFox rather than Internet Explorer. The Google Earth section, collated by Juan Corrin, provides a file to download and use in Google Earth (and Google Earth Pro). This shows small-scale geology (including the geological map published with the Matienzo 50 book), all the entrances, cave survey lines, cave surveys, rose diagrams of passage directions, and also selections of sites, ie all the digs, archaeological sites, unexplored sites, sites of biological interest, continuing caves, draughting sites, dive sites, sinks and resurgences. Descriptions for each site can be shown by clicking on the entrance marker. Hi-res surface photos can also be downloaded and used over the standard Google Earth landscape. The computer must be connected to the Internet and Google Earth (or Google Earth Pro) installed. Simple map showing caves as lines. PDF file. Detailed area map with roads, surface features, permit area and contours on one sheet. All caves surveyed and with Survex data are shown as pink lines. All site entrances are shown: dots for GPSed entrances and circles for sites that have not been GPSed. The 2014-2019 permit boundary is a red line. 1: SIGPAC An Internet site allowing access to maps and satellite photos of Spain. The new (2017) map system for the Matienzo Caves Project is a stand-alone application based on a widely-used free-ware programme, QGIS. Satellite photos, digital terrain model, cave passage centre lines and widths and site positions are shown on a map with surface details, contours and geology. There are also links to aerial panoramas and video. Updated information will be disseminated every few months. More details and downloads. All the cave sites with Survex data in the (previous and current) Matienzo Caves Project area shown on a single Aven 3d file. The file has been produced using Survex 1.2.36 which is best to have on your computer to view the file. Download v1.2.36 Survex / Aven from here. Loch, the viewer component of the Therion cave survey package can also display 3d files. Loch produces red/cyan stereo pairs of the centre line and passage walls and makes an interesting alternative to Aven. Therion can be downloaded from here. 3: A template for writing up trip reports. If access to the expedition logbook is awkward, please print and fill out this sheet for later sticking in the logbook. 4: For new expedition members, an introduction to the Matienzo Caves Expeditions and expectations. A laminated business card summarising these expectations is available in Matienzo. A next-of-kin form, required for every caver. 5: Surveying. A growing library of help documents for Matienzo cave surveyors. 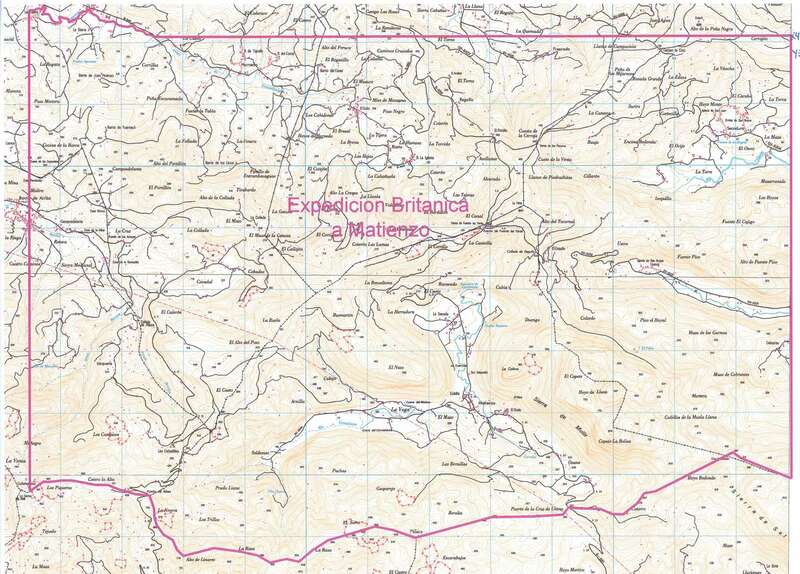 6: Cave entrances - using GPS in the Matienzo Caves Project permit area from 2014. 7: Entrance coordinates accuracy, as reported on site descriptions. 8: Planning meetings agendas & minutes. Available on the Matienzo Caves Project & Minutes page. 9: Miscellaneous documents, including information about surrounding areas. These aerial 360° panoramic photos and aerial videos have been filmed using a small drone. The aim is to provide clear views of hillsides allowing features to be compared with maps and, perhaps, spot unexamined sites of speleological interest. Suggestions for more hillside inspections are welcome.